The mid-sized BMW X3 and X4 are about to undergo the full BMW M treatment for the first time, offering M3 levels of performance in a more practical family-friendly package. Teased by BMW in a new set of images, the pair made their public debut at the Nürburgring over the weekend in prototype form, and now BMW has given us some insight into what lies underneath. 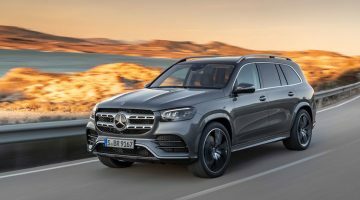 First and foremost, the X3 M and X4 M will share identical underpinnings, centred on a newly developed 3-litre twin-turbocharged straight-six. The current M3/M4’s ‘S55’ straight-six already develops 444bhp in Competition Pack form, so we’d expect a jump in brake horsepower, possibly rivalling the standard GLC63’s 469bhp. A recent teaser video shows both models driving off road, also previewing their exhaust sounds. As you might expect, power will be sent to all four wheels, but we’d be surprised to see the application of an M5-like ability to revert to rear drive. 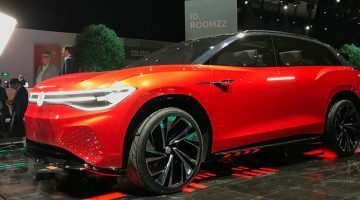 BMW has instead mentioned a focus on accurately distributing the power and torque between the four wheels without distinct power loss, also utilising an electronically controlled limited-slip differential mounted on the rear axle. This to us sounds like an adoption of a proper torque-vectoring system, shuffling power between all four wheels depending on which has the most traction. BMW shrewdly hesitated to mention whether the pair will use a dual-clutch or standard torque converter automatic gearbox. Stay tuned for the first-ever BMW X3 M and BMW X4 M.
Are you ready for high-revving adventures? Stay tuned!BMW X3 M:Fuel consumption combined: 10.5 l/100 km; CO2 emissions combined: 239 g/km*BMW X4 M:Fuel consumption combined: 10.5 l/100 km; CO2 emissions combined: 239 g/km*All figures relating to performance, fuel consumption and CO2 emissions are provisional.The fuel consumption and CO2 emission figures are determined according to the European Regulation (EC) 715/2007 in the version applicable. The figures refer to a vehicle with basic configuration in Germany. The range shown considers the different sizes of the selected wheels/tyres and the selected items of optional equipment, and may vary during configuration.The values are based on the new WLTP test cycle and have been translated back into NEDC-equivalent values in order to ensure comparability between the vehicles. With respect to these vehicles, for vehicle-related taxes or other duties based (at least inter alia) on CO2 emissions, the CO2 values may differ from the values stated here (depending on national legislation).Correct as at: 01.02.2019.Further information on official fuel consumption figures and specific CO2 emission values of new passenger cars is included in the following guideline: 'Leitfaden über den Kraftstoffverbrauch, die CO2-Emissionen und den Stromverbrauch neuer Personenkraftwagen' (Guide to the fuel economy, CO2 emissions and electric power consumption of new passenger cars), which can be obtained free of charge from all dealerships, from Deutsche Automobil Treuhand GmbH (DAT), Hellmuth-Hirth-Str. 1, 73760 Ostfildern-Scharnhausen and at https://www.dat.de/co2/. Underneath the body-disguising wrap the X3 and X4 will both feature more aggressive styling, with an opened-up front bumper allowing for extra cooling, deeper side skirts and a set of quad exhaust pipes poking out of the rear bumper. Inside, expect the usual BMW M upgrades including new seats, steering wheel and updated trim materials. Although these two are not what we would usually consider to be ideal BMW M cars, the pair do get pretty close to answering our calls for a BMW M3 Touring. The other thing to note is that like the X5/X6 M twins before them, these SUV variants might also shine a light on what to expect in the next-generation BMW M3 and M4, as its new straight-six engine, and whatever transmission is attached to it, will likely be shared. 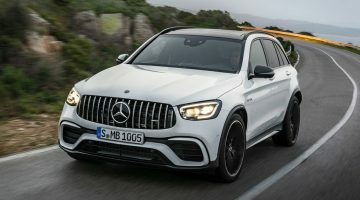 The X3 M and X4 M won’t have the performance mid-sized SUV arena to themselves, though, as the aforementioned Mercedes-AMG GLC63, not to mention updated Porsche Macan Turbo and Alfa Romeo Stelvio Quadrifoglio all impress with their adept, even playful handling characteristics. We’ll know more later in the year when the pair are revealed in full.